Appears (in Swedish) as T. Husfeldt, Monstret i Turings bibliotek, Filosofisk tidskrift 36(4):44-53, 2015. Nick Bostrom’s Superintelligence presents a dystopian view of strong artificial intelligence: Not only will it be the greatest invention of mankind, it will also be the last, and this emerging technology should be viewed as an immediate and catastrophic risk to our species, like molecular nanotechnology, nuclear power, or chemical warfare. Superintelligence, Oxford University Press, 2014. Artificial intelligence with super-human capabilities will be the last invention controlled by Homo sapiens, since all subsequent inventions will be made by the “superintelligence” itself. Moreover, unless we are extremely careful or lucky, the superintelligence will destroy us, or at least radically change our living conditions in a way that we may find undesirable. Since we are currently investigating many technologies that may lead to a superintelligence, now would be a good time for reflection. Nobody knows, much less agrees on, how to define intelligence, be it general, artificial, or strong. Neither does Bostrom. By his own admission, his book is inherently speculative and probably wrong. Not even the rudiments of the relevant technology may be known today. However, many of Bostrom’s arguments are quite robust to the particulars of “what?” and “how?”, and the book can be enjoyed without a rigorous definition. For now, we imagine the superintelligence as a hypothetical agent that is much smarter than the best current human brains in every cognitive activity, including scientific creativity, general wisdom, and social skills. computer science approaches like machine learning (IBM’s Jeopardy-winning Watson) and “good old-fashioned artificial intelligence” using symbolic reasoning (chess computers). None of these technologies is currently close to even a dullard’s intelligence, but on a historical time scale, the are all very new. Bostrom’s description is an entertaining tour of computer science, neuroanatomy, evolutionary biology, cognitive psychology, and related fields. It is moderately informative, but none of it is authoritative. The consequences of any of these research programs actually achieving their goals are even more speculative. Several futurists have developed scenarios for how a superintelligent future might look, and Bostrom surveys many of these ideas. In one of those visions, accelerating and self-improving digital technologies quickly overtake human cognitive abilities and transform our environment, like we transformed pre-historic Earth. After a short while, all the protons that currently making up the planets of the solar system are put to better use as solar-powered computing devices, orbiting the sun in a vast networked intelligence known as a Dyson sphere. There are many other scenarios, partly depending on which approach will turn out to win the race against our own intelligence, and how the result can be harnessed. Not all these possible futures are dystopian. Some even leave room for humans, maybe uploaded to a digital version of immortality, or kept in zoos. But they certainly entail dramatic changes to our way of life, easily comparable to the invention of agriculture or the industrial revolution. Bostrom’ book begins with a short fable, in which a group of birds agrees to look for an owl chick to help them with nest-buildling and other menial labours. We immediately see their folly: The owl chick will quickly outgrow the birds, throw off their yoke, and quite probably eat them, as is its nature. The birds would have been better off thinking about the result of their search before it was too late. However, in its most harmless form, the superintelligence is merely a device that excels at goal-oriented behaviour, without intentionality, consciousness, or predatory tendencies. Bostrom explains that even such a superintelligent servant, docile in comparison to the rampant killer robots from blockbuster movies, would be a terrible thing. Bostrom describes an interesting thought experiment about how to specify the behaviour of a superintelligent machine that produces paperclips. There are at least two undesirable outcomes that stem from “perverse instantiation” of the machine’s task. One is that the machine might turn everything into paperclips, including humans. Or, faced with a more carefully worded task, the machine first solves the problem of increasing its own intelligence (to become a better paperclip-producer), turning the entire solar system microprocessors. No matter how much we continue specifying our orders, the machine continues to avoid “doing what we mean” in increasingly intricate ways, all with catastrophic outcomes. I like to think of this idea in terms of Goethe’s Zauberlehrling, immortalised by Mickey Mouse in Disney’s Fantasia. In this tale, the sorcerer’s apprentice commands his enchanted broomstick to fill water into a bathtub. Obedient and literal-minded, the magical servant hauls up bucket after bucket, yet continues long after the tub has been filled. Disaster is averted only because the sorcerer himself arrives in the nick of time to save Mickey from drowning. No malice was involved; unlike Bostrom’s allegorical owl-chick, the broomstick has no volition other than the dutiful execution of Mickey’s task. It was Mickey who failed to be sufficiently precise in how he formulated the task. Had Goethe’s broomstick been superintelligent, it seems to me that he might just have killed the apprentice and thrown his body in the tub. After all, 70 percent of it are water, so the task is completed with speed and elegance. Illustration of Der Zauberlehrling. From: Goethe’s Werke, 1882, drawing by Ferdinand Barth (1842–1892). These games of formalism may strike you as trite exercises in deliberately misunderstanding instructions against their intention. However, every programmer or lawmaker knows that this is exactly the reason for why software is so hard to write or laws are hard to formulate. If there is a way to misunderstand your instructions, it will happen. Thus, there is no need to attribute malice to the superintelligence. Instead, we might be doomed even by a perfectly obedient agent labouring to perform ostensibly innocent tasks. In the words of Eliezer Yudkowsky, “The AI does not hate you, nor does it love you, but you are made out of atoms which it can use for something else.” 1 Of course, a superintelligence with volition, intentionality, or free will, would be even harder to control. The control problem has many aspects, one of which is purely institutional: If the superintelligence is developed in vicious competition between corporations or militaries, none of them is motivated to stop the development, for fear of losing a technological arms race. As a civilisation, we have an unimpressive track record of preventing globally harmful behaviour when individual proximate gains are at hand. This addresses a popular rejoinder to a dystopian intelligence explosion: “Why don’t we just pull the plug?” First, it’s not clear that there is a plug to pull.2 Second, who is “we”? Assuming we can solve the institutional problem of who gets to design the the superintelligence, the solution seems to be to codify our goals and values, so that it won’t act in ways that we find undesirable. This, of course, is a problem as old as philosophy: What are our values? And again, who is “we”: the species, the individual, or our future? Should the paperclip maximiser make sure no children are killed? Should no unborn children aborted? Is it in the alcoholic’s interest to receive alcohol or not? Some futurists welcome the idea of a paternalistic superintelligence that unburdens our stone-age mind from solving our own ethical questions. Even so, as Bostrom argues, if we share our environment with a superintelligence, our future depends on its decisions, much like the future of gorillas depends on human decisions. If we are currently building the superintelligence, we have but one chance to make it treat us as nice as we treat the gorillas. Bostrom tacitly assumes a strictly functionalist view of the mind. For instance, if we were able to perfectly simulate the neurochemical workings of a brain, this simulation itself would be a mind with consciousness, volition, and agency. Once the functions of the brain are understood, the substrate on which their simulation runs is secondary. From this perspective, questions about cognition, intelligence, and even agency, are ultimately computational questions. The primitive grammatical mistake of leaving out the pronoun gives you a clue that Eliza works by very simple syntactic substitutions, without any attempt at understanding what you mean. Still, it’s better than just saying “Hello, world!” If we continue browsing, we might find the code of some natural language processors that are state-of-the-art in the 2010s, such as IBM’s Watson, or Apple’s Siri. Fragments of the source code of Eliza, an early natural language processor. The whole program takes just over 1000 lines. Indeed, our conceit is that every algorithm appears somewhere in Turing’s library. 8 In particular, if we accept functionalism, some book describes the behaviour of Einstein’s brain: On input “What is 5 + 5” or “Do you prefer Brahms?” or “Prove the Riemann hypothesis” it will give the same answer as Einstein. We have no idea how this program looks. Maybe it is based symbolic artificial intelligence, like Eliza. Or maybe the bulk of the books is taken up by a “connectome” of Einstein’s actual brain, i.e., a comprehensive map of its neural connections. Such a map has been known for C. elegans, a transparent roundworm with 302 neurones, since the mid-1980s, and even though Einstein’s brain is considerably larger, this is not absurd in principle. Somewhere in Turing’s library there must be description of a computational process that is vastly superior to every human brain. Otherwise Einstein’s brain would have been the smartest algorithmic intelligence allowed by the laws of logic, or close to it. Yet it seems unlikely, not to say self-congratulatory, that evolution on the planet Earth succeeded in constructing the ultimate problem solving device in just a few million generations. Translated into this setting, Bostrom suggests that our discovery of this description would have catastrophic consequences. The library contains a monster. Our exploration should proceed with prudence rather than ardour. To appreciate this, consider again the 23 symbols that make up our friendly “Hello World!” program. We could have found it, in principle, by exhaustively searching through all sequences of characters that make up Lisp programs. How much time does this take? That is a simple exercise in combinatorics, after we fix some details—how many symbols are there, how fast is the computer, etc. But no matter how you fix these details, the result is disappointing.9 If a modern computer computer had started this calculation when the universe began, it would have gotten to somewhere around (print "Hello,"). You could gain a few extra letters by throwing millions of computers at the problem. But even then, the universe does not have enough resources to allow for an exhaustive search for even a very simple program. Either you run out of time before the universe ends, or you run out of protons to build computers with. Computation is a resource, exponential growth is immense, and the universe is finite. One might object that this observation is a mundane, quantitative argument that does not invalidate the compelling fact that in principle, the exhaustive search will sooner or later stumble upon the fully-fletched “Hello World!”-program, and eventually the monstrous superintelligence. But that is exactly my point: You can simultaneously accept machine-state functionalism and be blasé about the prospects of AI. Speculation about the imminent discovery of the monster in Turing’s Library must be grounded in computational thinking, which is all about the growth rates of computational resources. Could there be another way of discovering the superintelligence than exhaustive search? Certainly. After all, nature has discovered one of the monsters, the brain of Homo sapiens, starting with very simple “brains” hundreds of millions of years ago, and refining them stepwise by natural selection and mutation in environments that favoured cognition. Thus, there is some gradient, some sensible set of stepwise refinements, that Nature has followed through the Library of Turing to arrive at Einstein’s brain. 10 We just don’t know how to recognise, nor efficiently follow this gradient. In the enthusiasm surrounding artificial intelligence in the 1960s we might have thought that we were on such a gradient. If so, we have abandoned it. The current trend in artificial intelligence, away from symbolic reasoning and towards statistical methods like machine learning, that do not aim to build cognitive models, strikes me as an unlikely pathway. Let me repeat that I do not try to rule out the existence of a monster. I merely point out that even though a monster exists, we may never run into it. Turing’s Library is just too vast, nobody has labelled the shelves, much less put up useful signs and maps. Our intuition is mistaken when it extrapolates that we will soon have mapped the entire library, just because we’ve seen more of it than our grandparents ever did. Moreover, imminent and rampant progress in exhaustive search may have been a reasonable hope half a century ago. But today we know how hard it is. If the algorithmic perspective above is correct, then there is nothing to worry about. 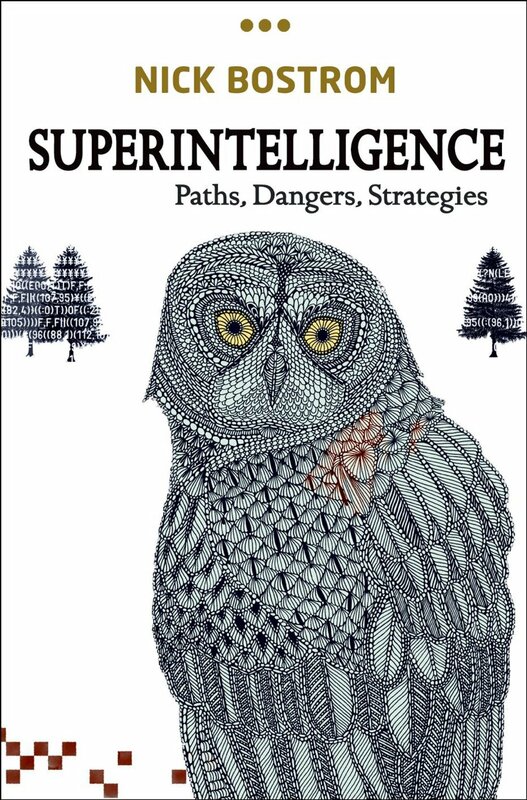 The superintelligence is an entertaining fiction, no more worthy of our attention than an imminent invasion by aliens,13 eldritch gods from the oceans, or a sudden emergence of magic. The issues raised are inherently unscientific, and we might as well worry about imminent overpopulation on Venus or how many angels can dance on the head of a pin. But I could be wrong. After all, I wager the future of human civilization on a presumption about the computational complexity of an ill-defined problem. I do think that I have good reasons for that, and that these reasons are more firmly grounded in our current understanding of computation than Bostrom’s extrapolations. However, if I’m wrong and Bostrom is right, then humanity will soon be dead, unless we join his research agenda. Thus, from the perspective of Pascal’s wager, it may seem prudent to entertain Bostrom’s concerns. The problem domain opened up by Superintelligence may lead to valid research in various areas, independently of the plausibility of the underlying hypothesis. For instance, the problem of codifying human values, a formalization of ethics, is a problem as old as philosophy. Bostrom’s prediction injects these questions with operational significance, as these codified ethics would be the framework for the incentive structure needed to solve the control problem. However, an “algorithmic code of ethics” is a worthwhile topic anyway. After all, our digital societies are becoming increasingly controlled by algorithmic processes. These processes are nowhere near superintelligent, but they are highly influential: Algorithms choose our news, decide our insurance premiums, and filter our friends and potential mates. Their consistency with human values is a valid question for ethicists and algorithmicists alike, no matter if the algorithms are authored by Google’s very real software engineers or a very hypothetical paternalistic AI. Another issue related to the control problem is the ongoing work on the semantics and verification of programming languages. This has been a well-established subfield of computer science for a generation already. Some of the these issues go back to Gödel’s incompleteness theorem’s from the 1930s, proving that formal systems are unable to reason about the behaviour of formal systems. In particular, it has turned out to be a very difficult problem of logic to specify and verify the intended behaviour of even very short pieces of computer code. It may well be that questions about harnessing the behaviour of a superintelligence can be investigated using these tools. Other scientific areas may provide similar connection points: Incentive structures are a valid question for game theory and algorithmic mechanism design, which resides on the intersection of computer science and economics. Or the computational aspects of artificial intelligence may become sufficiently well defined to become a valid question for researchers in the field of computational complexity. This might all lead to fruitful research, even if the superintelligence remains eternally absent. But whether superintelligence becomes a valid topic for any of these disciplines is very unclear to me. It may depend on purely social issues within those research communities. It may also depend on the availability of external funding. This last point leads me to speculate about a very real potential impact of Bostrom’s book. It has to do with the perception of artificial intelligence in the public eye. Research ethics are a political question ultimately decided by the public. The most Herculean promise of current artificial intelligence research is the construction of general artificial intelligence. What if the public no longer saw that as a goal, but as a threat? If Bostrom’s dystopian perspective leads to increased public awareness about catastrophic effects of superintelligence, then general AI would not appear under “Goals” in a research plan, but under “Ethical considerations” that merit to public scrutiny along with climate change, sensitive medical data, rampant superviruses, animal testing, or nuclear disasters. And these, largely political, requirements may themselves necessitate research into the control problem. We may want to ponder the consequences of running into a monster in the Library of Turing no matter how plausible that event may be. This entry was posted in Exposition and tagged Artificial intelligence on April 10, 2015 by thorehusfeldt. Extremely interesting and well formulated. I hope your library of Turing makes it into the discourse. Of course, I have more fundamental objections to the prospect of superintelligence, the key one being roughly that the fear (or hope) of superintelligence has its origin in a huge overrating of the generality of human intelligence. Machines already surpass humans in many ways, and machines will continue to surpass humans in more ways, possibly (although not likely, e.g., by your search argument) all ways we can think of, but at no point is anything magical going to happen. The view of the machine as our competitor comes from a mindset optimized for biological survival, which is not universal, and not shared among machines more general than humans and our fellow organisms. Another objection that pops up is that if we are so in love with the concept of human intelligence, then why fear the Dyson sphere? After all, the sphere would be a superior manifestation of human intelligence. It discards only our (and everyone else’s) bodys, and protects the survival of our intelligence, which according to the computation-centric view should be what matters. This is not my own position at all, of course. I would insist that humans are bodies, and that intelligence without a body is ill-defined. A minor quantitative objection to your presentation of Turing’s library, and particularly the book containing Einstein’s brain: Einstein was not born with a brain destined to come up with his brilliant ideas. His neurons developed over the course of his life, influenced by the inputs it received, from birth to any particular moment. Hence, the concept of ‘Einstein’s mind’ as an entity being written down in a book is dubious. Rather, what you would have would be ‘Einstein’s mind at one particular instant’. The usefulness of a brain isolated from its surroundings is questionable. For instance, even at his smartest moment, Einstein would have had no idea of the internet, or able to come up with any interesting way of using it. A possible fix in the formulation of the library is, again analogously to ideas from Turing, to incorporate the input with the program. Then there would be one book describing Einstein’s mind given all the actual inputs he had during his lifetime (from which his state of mind at any moment could be extracted, through a process similar to how a database system recovers using a transaction log). Another book that enumerates the same inputs with the minor difference of changing the tone of voice of something his mother said to him some time in his childhood. Another book for each little trivial change in his environment, and a large amount of books for every other possible major path of his life. Then there would be yet another vast set of books noting every possible course of life given that Einstein was born in, say, a moment during 2015. One vast set of books for every possible life of Einstein, in every possible environment, of which only an incredibly tiny fraction reflects a situation that ever occurs any time in history. This does not change the nature of your argument, but it ups the size of the library by another infinite magnitude. … On second thought, my modification doesn’t change the size of the library at all. What it changes is how many volumes deals with each particular brain, e.g. Einstein’s. But, of course, a volume for any brain at any point in time is in the library already. I just finished reading Bostrom’s book, and I stumbled upon this essay (review? critique?). I enjoyed the book and found it rather convincing, so I’m a little surprised to see such a firm dismissal of the topic (or of the suggestion that AI may be one of the biggest problems of our time) from a professor of computer science. I enjoyed the metaphor of Turing’s Library, it’s a fascinating thought experiment to imagine walking down the endless corridor’s of the library, searching for “the monster”, knowing it must exist somewhere, and also knowing that you will never find it. 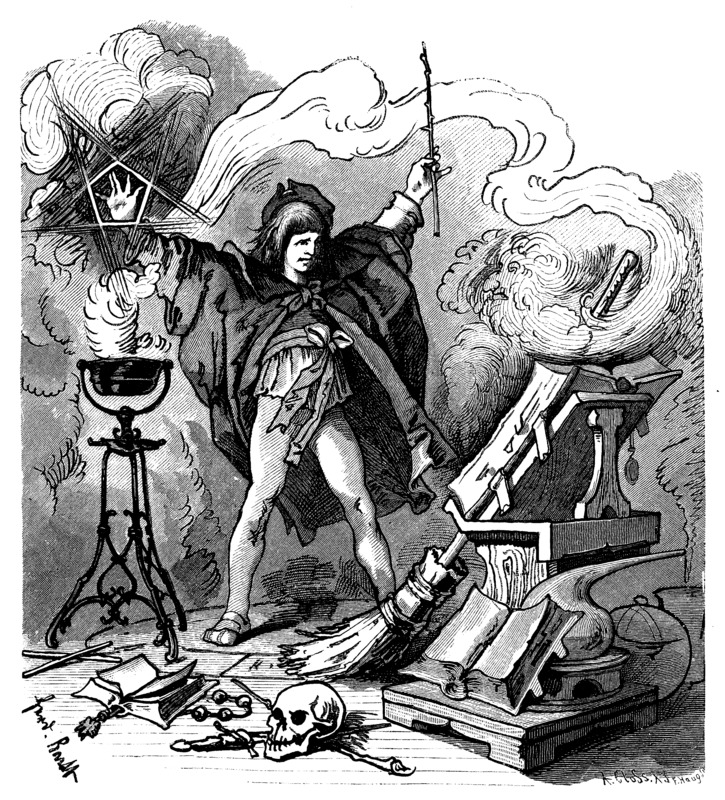 Just like the cultists in Borges’s short story, I can see how one would go mad and start burning books. (As an aside, have you seen libraryofbabel.info? Someone actually created the library of babel online, and currently it contains all possible pages of text. I hope he publishes the algorithm he used for that!). Anyway, as interesting as the library may be, unfortunately I think it’s a really weak argument against our prospects of ever developing AI. Indeed, the same argument can be used against the suggestion of ever finding any algorithm that is more than one line of code in any language! The problem is that nobody ever suggested blindly searching Turing’s Library in the first place. Nobody ever found an algorithm by exhaustive search, yet we are using algorithms all the time. Clearly there are other ways of searching the library, as it were. Very interesting thoughts. One quibble, however. The discussion here dismisses Bostrom’s concerns primarily on the basis of his under-consideration of a scaling problem. The book explicitly takes on scaling problems, and combinatorial explosion problems, in considering the comparative likelihood that a superintelligence would be produced by the various routes he considers. Indeed, Bostrom at various times downplays processes that rely on “brute force,” and that is in essence what the charming formulation of Turing’s library represents. He seems more concerned about a series of events that would begin with partial brain emulation and then advance beyond general human intelligence through evolutionary models (though here he also identifies vexing challenges for AI researchers). While I have no ability to evaluate his speculative accounts of how long various potential routes might take to travel, it’s not quite right to dismiss the entire problem of emergent superintelligence because of the implausibility of one route. I suspect, in any case, Bostrom would be happy to see the discussion, since his primary purpose seems to be to deliver the message that highly advanced AI could very possibly be a dangerous thing.